Every February people tend to have love on the brain. Whether revelling in it or railing against it, it’s hard to deny that this month is known for being all about love. Because I live in Paris, I’ve often been asked what it’s like to live in the so-called City of Love. In particular, people are often curious as to whether or not Paris lives up to this reputation. While I can’t deny that there are aspects of living in Paris that I could do without, I will be the first to admit that yes, Paris is indeed a city full of love. However, my reasons have nothing to do with romance (sorry mom, I’m still single), and everything to do with the city itself. When you go to work at a place as beautiful as Notre Dame Cathedral, it’s hard not to see Paris as anything but the City of Love. But first things first. Where did this reputation of being the City of Love come from? It could be from all those Hollywood movies that portray a romanticized image of the city, where lovers stroll along impeccably clean streets in the rain, with nary a pile of dog poo in sight. Or, it could be due to the fact that Paris’ skyline is a UNESCO world heritage site, and therefore while other European cities can be inundated with modern skyscrapers, Paris still retains its classic look of centuries past. Or it could be in the language of the city itself. In recent years, French has been voted the most romantic language in the world, and the translation of ‘Je t’aime’ (I love you) is one of the most requested phrases on Google Translate. 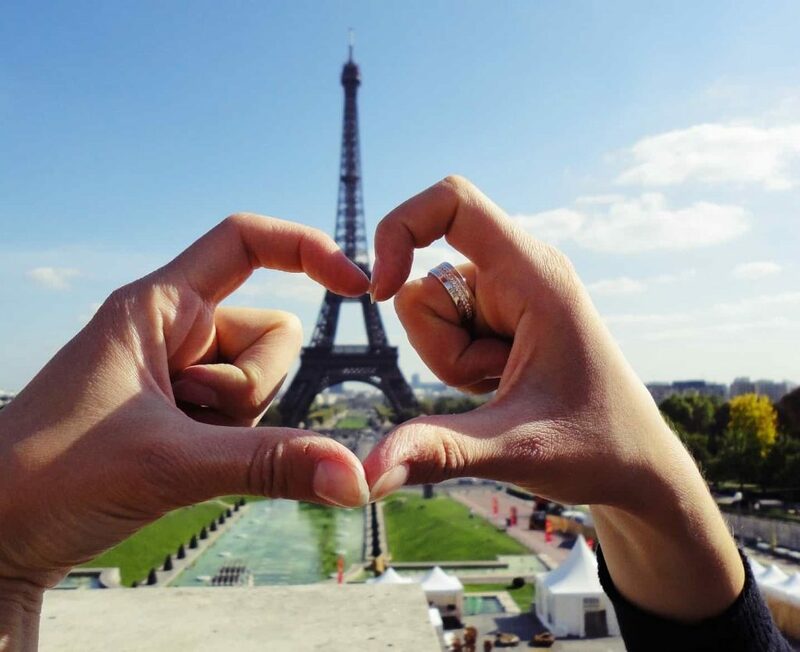 When taking all of these factors into consideration, it’s no wonder Paris is one of the most popular places in the world to propose, especially around the Eiffel Tower. Perhaps nothing epitomizes Paris’ reputation for love more than the recent love lock phenomenon. Although the modern love lock trend began with an Italian book and subsequent film adaption, the love locks quickly made their way to Paris. 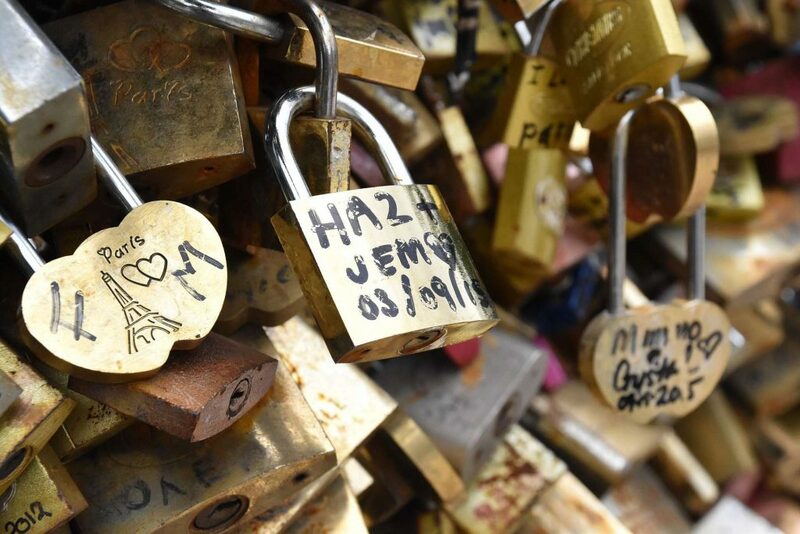 Starting around 2008, lovers from all over the world would come to the city to attach their padlocks to the Pont des Arts, long considered to be the most romantic bridge in Paris. When that bridge ran out of space, the tradition extended to many other Parisian bridges and landmarks. Unfortunately, people’s enthusiasm for this ritual soon became too much for the bridges of Paris, and the weight of all that metal began to cause them to collapse. That’s why starting in 2015 the city put an end to the love locks and had them removed. However, even this did not dampen Paris’ reputation for love. To this day, stray locks can still be seen around the city, much to the consternation of locals. So is Paris really the City of Love? Certainly millions of people around the world believe it to be, although interestingly enough Valentine’s Day in Paris is nothing like the Hallmark bonanza that it is back in North America. While I have yet to experience a fairy tale romance in Paris, I can say with absolute certainty that I have fallen in love. I originally arrived in Paris for a four month visit, and several years later I now call this city my home. This is because I fell in love its history. I fell in love with its architecture. I fell in love with its art and culture. In short, I fell in love with Paris. For that reason alone, in my mind, Paris will always be the City of Love.